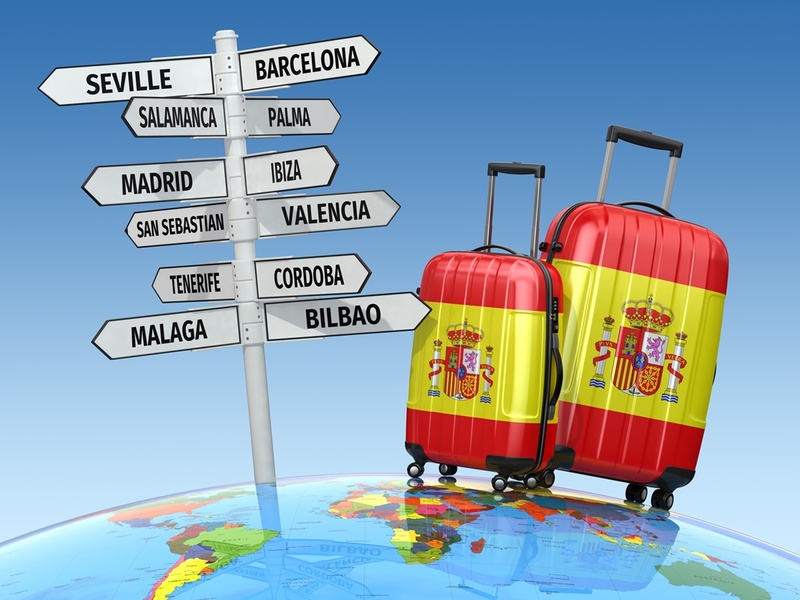 Spain is one of the top 3 most popular tourist destinations in Europe. Therefore, no wonder there are so many international airports connecting the country to all parts of Europe, but to the other parts of the world as well. Skim through our short guide to international airports in Spain to see which one is the best option to reach your destination. Madrid-Barajas Airport also known as Adolfo Suárez Airport is the main international airport serving the area of the Spanish capital. It’s the largest airport in Europe by size and 6th busiest in terms of passenger traffic. It is only 13km northeast of Madrid’s historic centre. 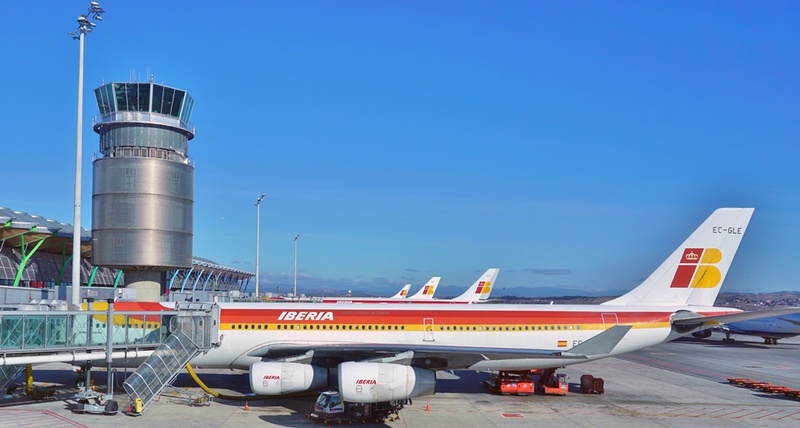 The airport is the primary hub and maintenance base for Iberia and has five passenger terminals named T1, T2, T3, T4 and T4S. It is named after former Spanish president who died in 2014. As one of the biggest airports in the world, it has great connections both to the city and to the rest of the region as you can see in Airport bus Madrid post. From the Spanish capital you can visit many places like Seville or Bilbao. Barcelona-El Prat Airport is an international airport located 12km southwest of Barcelona citz centre, in the municipalities of El Prat de Llobregat, Viladecans, and Sant Boi. It’s the main airport in Catalonia, second largest in the country after the airport in Madrid and one of the busiest in the world. It is a main base for the main Spanish airlines and a hub for Iberia, as well as the Irish Ryanair and the Norwegian Norwegian Air International. The airport has 3 takeoff and landing areas and two passenger terminals, T1 and T2. Airport bus Barcelona will show you all the options for reaching the city centre from the airport. Barcelona is the most popular destination in Spain, but you can explore other places in the region, e.g. Madrid, Valencia or Bilbao. Palma de Mallorca Airport is an international airport only 8km east of Palma, adjacent to Can Pastilla village. It is also known as Son Sant Joan Airport and it’s the country’s third largest airport. The airport is the main base for the Spanish carrier Air Europa and also a focus airport for Ryanair, EasyJet and Vueling. During summer, this airport is one of the busiest on the continent as it is a very popular tourist destination. The airport has good connections with Palma and other resorts nearby, so you can use one of the two bus lines running all day long. Malaga Airport is the fourth busiest airport in Spain after Madrid-Barajas, Barcelona and Palma de Mallorca. It is an extremely important airport for Spanish tourism since it serves Malaga and the entire region of Costa de Sol. It is located 8km southwest of the city centre. With over 60 connections worldwide, the airport handles approximately 14 million passengers each year, but sometimes even more. You can reach the city in 20min by taking a public bus Line A Express or by train. Alicante-Elche Airport, originally known as El Altet, is the fifth busiest airport in the country in terms of passengers traffic serving the area of the Valencian community and the region of Murcia. It is located in Elche, 10km east of the city and 9km southwest of Alicante. The airport is a base for Air Nostrum, Evelop Airlines, Norwegian Air Shuttle, Ryanair and Vueling. Check how to get to the city center from Alicante airport. Gran Canaria Airport, sometimes referred to as Gando Airport, is the country’s 6th busiest airport in terms of passenger traffic. It is located 19km south of Las Palmas de Gran Canaria city centre and 25km from the popular tourist resorts and areas in the south. It is the operative base for Binter Canarias, NAYSA, Canaryfly, Ryanair, Norwegian Air Shuttle and Vueling Airlines. Tenerife Sur Airport, before known as South-Reina Sofia, is the larger airport of the two international ones serving the Tenerife island and the second busiest airport in the Canary Islands. Ibiza Airport is an international airport serving the Balearic Islands of Ibiza and Formentera. It is located 7km southwest of the Ibiza Town. Since the island is an extremely popular holiday destination, it features many seasonal routes and domestic services accross Europe. It also serves as a hub for Vueling. Lanzarote Airport is also known as Arrecife Airport and it serves the island of Lanzarote in the Canary Islands. The airport is situated in San Bartolomé, Las Palmas, 5km southwest of Arrecife town. It provides connections to many European metropolitan and leisure destinations. Valencia Airport is located in Manises due to which is also known as Manises Airport. It’s the country’s tenth busiest airport in terms of passenger traffic and second in the region after the airport in Alicante. It is only 8km west of the city of Valencia. The airport features flights to about 20 European destinations.